Rams got on the scoreboard first as Henry Gooch went coast to coast for the hoop and the harm, however a shift in intensity saw a 10-0 run for the hosts as Jeremy Sochan and Steve Nwagwu scored 4 points a piece prompting a Surrey timeout. The visitors replied out of the timeout but 3 pointers from Kieran Allan and Josh Sissons increased the lead to 16-7. Armand Gavrila and Daniel Fawell-Molloy continued to keep the score board ticking over with scores in the paint as Kestrels took a 22-12 lead into the quarter break. TSK stormed out of the gate in the 2nd quarter with Sochan and Nwagwu earning trips to the line followed up by Gavrila scoring in the paint once again. A Rams three pointer stopped the rot for them but another score for Gavrila sparked their second timeout of the half, TSK now up 31-15. Out of the timeout a 10-2 run for the hosts really started to see separation between the sides in terms of the score after Jasper Ladd free throws put them up 40-17. To close out the half the sides traded baskets, including a 3/4 court buzzer beater from Gooch to leave the score at 49-28 in favour of the Kestrels. 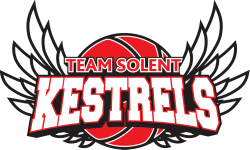 The 3rd quarter saw TSK really take a strong hold on the game and after a slow start in the opening minutes another substantial 13-1 run across a 6 minute spell meant Kestrels were now up 62-32. The home side managed to hold Rams to just 7 points in the quarter whilst putting 19 of their own on the board to head into the final period up 68-35. Rams continue to fight and opened up the scoring in the 4th quarter followed by a trip to the line, but Stan Mellstrom came off the bench to score in close. A Jeremy Sochan alley-oop out of a TSK timeout sent the supporting Kestrels Family into a frenzy and stamped the exclamation mark on the hosts control in the match up. Fawell-Molloy would connect on a triple late on whilst Joslyn McLeod continued to build the Kestrel lead eventually finishing up 89-49. TSK were led by a very balanced scoring effort, Jasper Ladd had 13 points, whilst Jeremy Sochan chipped in 11 and Steve Nwagwu had 10. Surrey were led by Henry Gooch’s 11 points whilst S Rawson and J Turnbull had 9 a piece. Although Jeremy Sochan got things going with a two hand flush, with 40 long minutes in their legs TSK started relatively slow by their own standards. Credit to Sevenoaks however as they capitalised and traded baskets with the visitors early on connecting on a number of mid range jump shots. The second unit came into the game and gave Kestrels the spark they lacked in the opening spells and pushed the advantage at the end of 1 to 13, 25-12. The 2nd saw TSK really take control of the ball game with a number of scoring contributions across the board, with Tommy Deverill seeing his first action of the season and scoring at will in the paint. Daniel Fawell-Molloy continued his fine start to the season with multiple drive and finishes. Kestrels would take a 51-22 lead into the half time break. Despite some early signs of resurgence from the hosts, TSK managed to balloon the lead further as the second half drew on, with a number of key contributions from the bench including 44 bench points in total led by Fawell-Molloy’s 16 points personal. Kestrels eventually running out 101-33 victors and progressing to the 3rd round of the National Cup where they will play host to Woking Blackhawks II who sore off Shoreham Spartans. Jeremy Sochan once again led the charge with 18 points, 4 rebounds and 2 steals, whilst Daniel Fawell-Molloy chipped in 16 points, 7 rebounds and 2 assists, Steve Nwagwu also had 15 points, 7 rebound and 2 assists. Kestrels turn their attentions to another double header, but this time will host back to back games at Itchen College vs. Surrey Rams and London United on Saturday and Sunday respectively. TSK had the better of the opening spells as they took an early 5-0 lead behind Josh Sissons and Joslyn McLeod, holding the hosts scoreless over the first 4 minutes of action. However a Mohammed Fofanah 3 ball got Thunder off the mark and they edged in front when Josh Uduje followed that up with a triple of his own. Kieran Allan came off the bench for Kestrels to get in on the three point act, but several trips to the line for the home side kept them in front 8-9. 4 more points from Uduje to close the quarter saw Thunder hold a 8-13 lead after one. A 13-5 start to the 2nd quarter behind a balanced scoring act for the Londoners meant they would take the first meaningful lead of the game at 26-13 sparking a Coach O’Keeffe timeout for TSK. Jeremy Sochan cashed in from outside the arc out of the timeout to kick start an 11-2 run that was capped off with a Sissons and-1. With momentum well and truly swinging in favour of the visitors a 12-4 run to close the half meant Kestrels would lead 36-35 at the break. Kestrels were able to carry over the momentum and started the brighter in the third as Armand Gavrila scored on the opening possession before Sochan and Sissons scored in transition to force a Coach Bucknall timeout for the Thunder, Kestrels now up 42-37. TJ Hibbert scored back to back baskets out of the timeout for London but another Sissons and Sochan one two punch increased the advantage to 49-41. The sides traded baskets over the next few possessions with the intensity rising on every play, until Kieran Allan checked back in to stroke another three ball sending the TSK bench into a frenzy to put his side back up 8. Thunder reduced the gap to 4 but Kestrels closed the quarter the stronger and went into the 4th up 59-50. A 7-0 run to start the 4th for Thunder wiped out any advantage TSK had in just 3 minutes, promoting a timeout for the visitors to make some adjustments. Uduje would tie the game up at 62 a piece after a tough step back 3 ball to set up a tense finish down the stretch. Out of a timeout Kestrels made a game changing 9-0 run behind 5 Sochan points. Thunder pulled to within 6 but Gavrila held his nerve and went 3/4 at the line down the stretch to clinch a 76-70 victory for TSK. Kestrels were led by Jeremy Sochan’s 26 points, whilst Armand Gavrila had 13 points and Josh Sissons chipped in with 12. Josh Uduje led London Thunder with 25 points. Both sides started the game in nervous fashion, struggling to find any offensive rhythm early on. Rangers opened the scoring from the line as they split a pair, before Jeremy Sochan found his way to the hoop for a right handed finish. The first substantial run came mid way through the quarter as a balanced scoring act contributed to a 9-3 run to put TSK up 12-6. Kestrels forward Daniel Fawell-Molloy came off the bench to string a further 7-0 run together scoring all seven points in the run and ballooning the hosts lead to 11. Westside managed another trip to the line before Kieran Allan and Joslyn McLeod both came off the bench to connect from beyond the arc to close the quarter with the Kestrels up 25-9. Former Falkirk Fury guard Allan, continued his three point threat as he helped himself to another from distance early in the 2nd but Westside guard Sdis replied on the ensuing possession. the scoring dried up for both teams over the next 4 minutes with the score at 32-15 across the mid point of the period. However a Sochan dunk sparked Kestrels into life and another score from Scotsman Allan triggered the visitors second time out of the half with the home side in charge 43-21. Fawell-Molloy found his way to the offensive glass to extend the TSK lead out of the timeout leaving them up 49-23 at the half. A lack lustre start to the 2nd half for TSK allowed Westside to trim the gap early on, but a Josh Sissons 3 pointer ensured the scoreboard continued to tick over for the hosts. Kestrels struggled to find their rhythm offensively as Westside chipped away at the lead. However a strong finish to the quarter ensured a 21 point lead was still intact heading into the final period, TSK up 64-43. The final quarter made for an even affair in terms of production from both teams, Kestrels managed to push the lead out to 26 but a never say die attitude from the visitors meant they continued to play hard until the final buzzer, Kestrels eventually winning 81-60 to chalk up their first victory of the season. A balanced scoring load saw Daniel Fawell-Molloy, Jeremy Sochan and Kieran Allan all chip in 14 points each, whilst Westside captain Adeldo had 29 points for his side. TSK turn their attention to a league and cup double header next weekend as they travel to London Thunder Lewisham on Saturday before travelling to Sevenoaks Suns in the 2nd Round the National Cup competition.